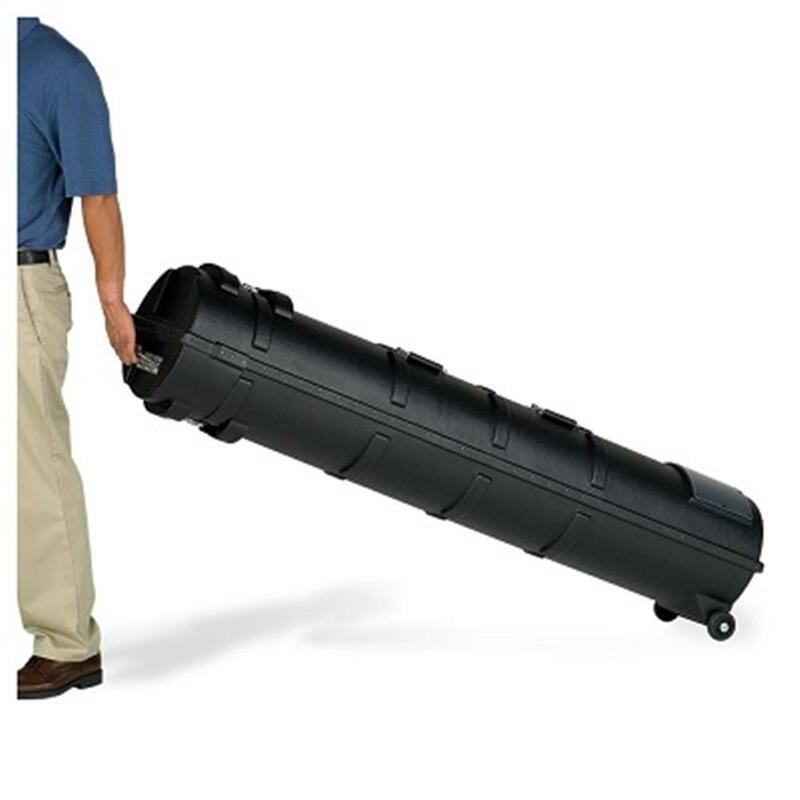 The E-Z Up Canopy Hard Rolling Carry Case is built to safely transport your E-Z Up portable shelter canopy. This hard case holds any 10' x 10' top, frame and cover bag. Made of high density polyethylene and has sturdy wheels on a solid steel axles for easy portability. Also features a heavy-duty handle, full length zippers, recessed latches with pad-lockable lid and three spring loaded flush mount handles.